For years I’ve been a big fan of Benefit’s box blushers since I first bought Hervana, but at £23.50 each they can be quite an expensive obsession. While they are one of the more high-end purchases in my blusher collection, I still love them. The packaging of the boxes are adorable, the shades really suit me, and I’ve yet to find one that I haven’t liked. Although with the expensive price tag, I’ve only purchased a few different shades and tend to wait for one to run out before buying another. 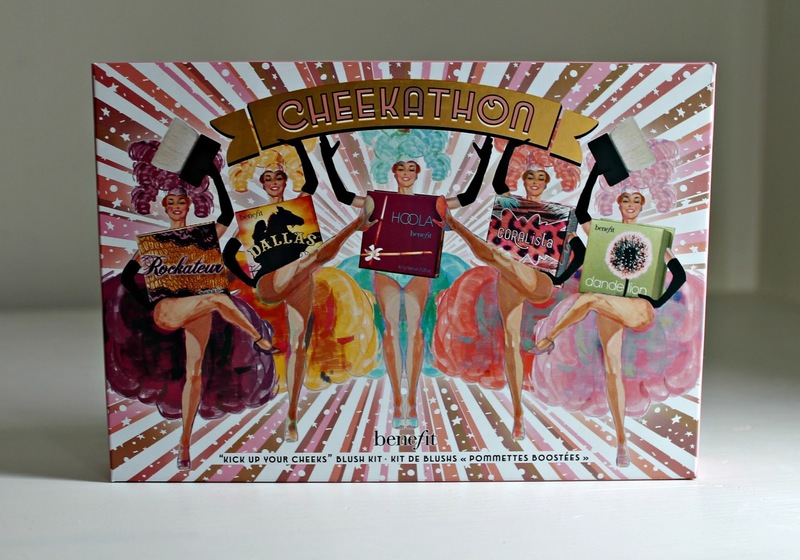 When I was last lusting over the box blushers I came across this, Benefit Cheekathon, a palette made up of five different Benefit blushers. Benefit’s Cheekathon retails for £44.50, and you get five different blush shades in the palette, so it’s a bit more of a purse friendly option than buying a few different box blushers. 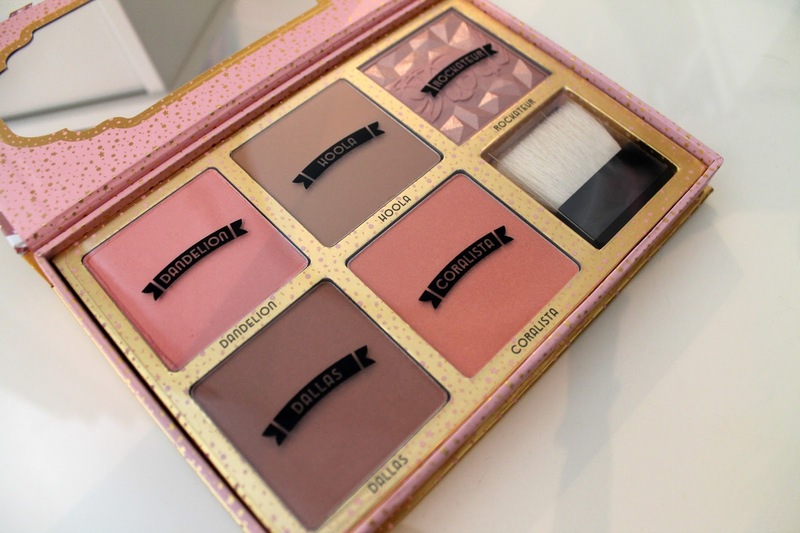 Inside the palette is Dandelion, Hoola, Rockateur, Dallas and Coralista. As usual I’m in love with Benefit’s packing with this palette. There’s a small version of each blusher in the box, a mirror, and complete with a little brush – a perfect palette for if you’re going away giving you plenty of choice! Each blush is labeled and you get around 8g of product for each blush, compared to the 50g if you bought the separate box blusher, but I honestly think that this palette would last you just as long. What I love about this palette the most is how well the colours suit me. I’m super pale, and because of that sometimes blushers can look a little too colourful on me. 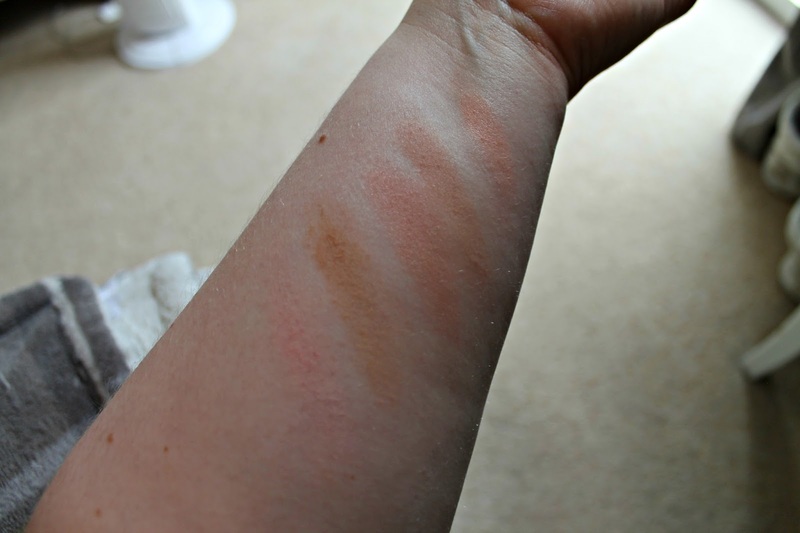 You can see how the colours look on my arm swatched above – from left to right; Dandelion, Hoola, Rockateur, Dallas and Coralista. None of the shades look dark or heavy on me, they are all a subtle pop of colour and a few of the more shimmery shades have given off a nice highlight too. It’s such a good palette that even Jeff wanted to show his love for it. I picked mine up on the House of Fraser website while looking over the makeup selection, and I think it’s a great way to try out some of the other shades of Benefit box blushers before you decide if you want to buy the full sized product. I’ve fallen a little bit in love with the Dandelion and Coralista shades, so I might be buying the full sized versions of them soon!